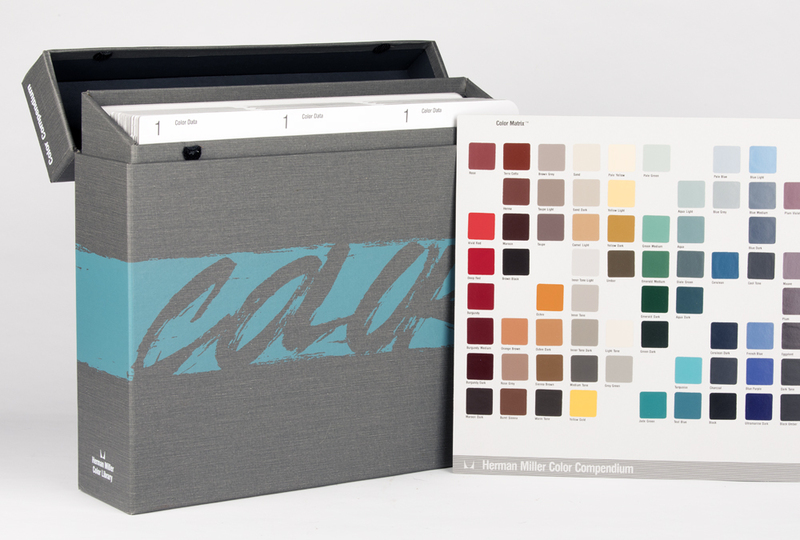 The Color Compendium is a reference tool for designers working with the Herman color system. 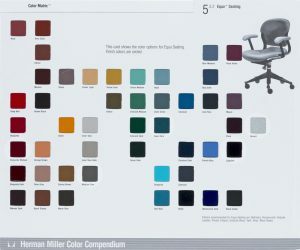 It explains the color groups that make up the system and aids designers in visualizing and planning color schemes for environments using Herman Miller products. Other components in the Herman Miller Color Library include the Color Index and Color Swatches. Size W 13" x H 11" x D 3"
Paper/Material Cards: white and grey uncoated cover stock. Box: grey fabric. Techniques Cards: offset, grey ink. User's Guide: offset, 4 color process. 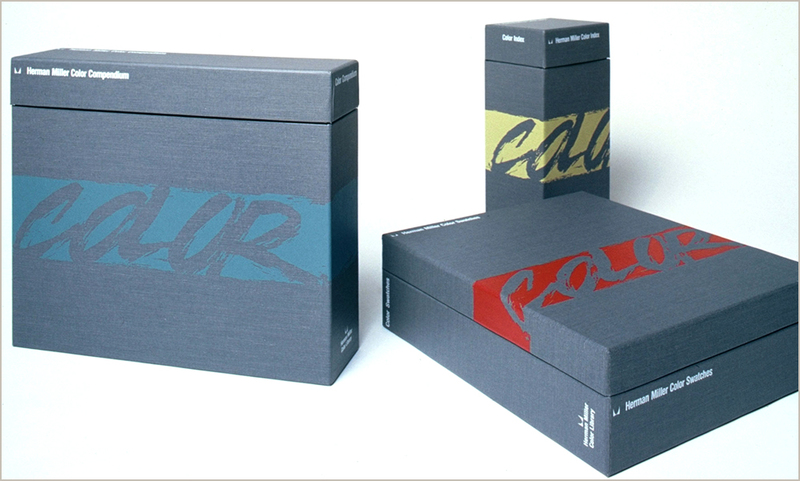 Box: screen printed 2 colors. Color chips tipped onto color matrix cards. Die cutting and perforation on tabs and color selection cards.